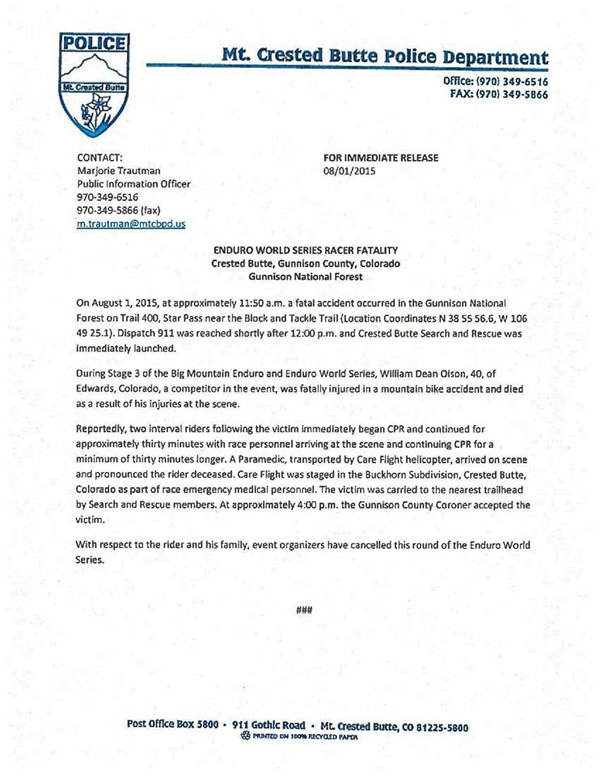 Tragic news from the Enduro World Series, media team, that the 2015 Enduro World Series, Colorado round has been cancelled due to the fatality of a competitor after an accident on the course. It is with the deepest regret that Big Mountain Enduro and the Enduro World Series announce that there was a serious accident during Stage 3, the first stage of Saturday’s race, resulting in the fatality of a competitor. The rider’s family has been informed and the competitor’s identity will be released in due course. Emergency personnel immediately arrived at the scene. The competitor was treated on scene by medical personnel and transported to the nearest roadway. The Gunnison County medical examiner confirmed the fatality. With respect for the rider and their family, this round of the Enduro World Series competition has been cancelled. Our deepest thoughts and sympathies go out to the rider’s family. The Mt. Crested Butte Police Department have released a statement confirming the name and age of the competitor who died after an accident during the 2015 Big Mountain Enduro event. 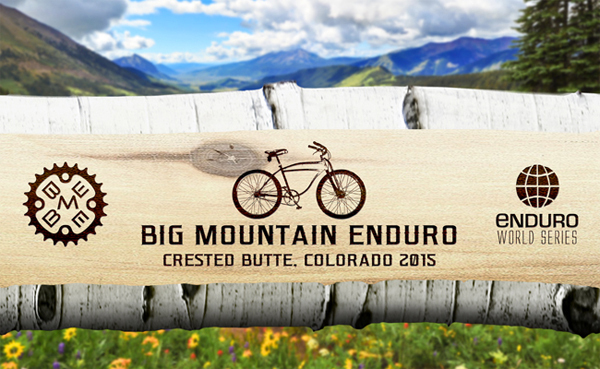 During Stage 3 of the Big Mountain Enduro and Enduro World Series, William Dean Olson, 40, of Edwards, Colorado, a competitor in the event, was fatally injured in a mountain bike accident and died as a result of his injuries at the scene. The Blurred team wish to pass on their deepest sympathy to the family and friends of the rider.